This chart has been tested. Keep in mind, design will be reverse from what you see. The white squares are worked in sc, and the colored in the bobble stitch. 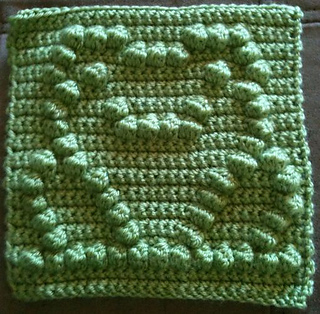 This is a free chart for a bobble square design. You are welcome to sell the finished product. I do ask that if possible you send me a photo of the finished result, or add them here yourself.